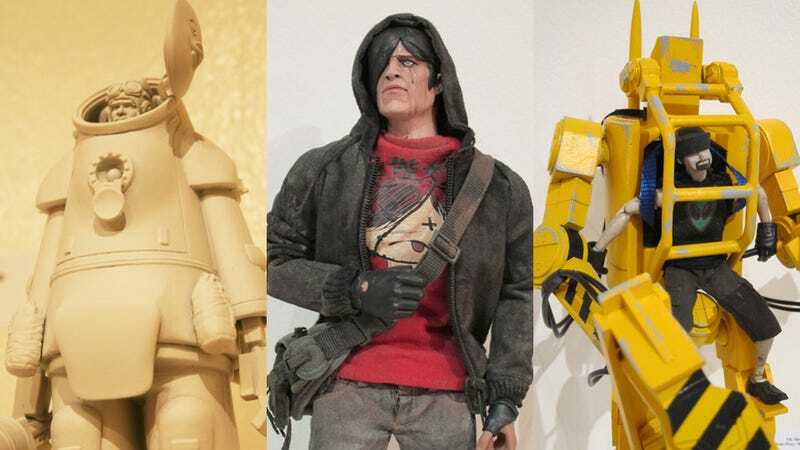 Combining original figures with toys based on properties like Woods' World War Robot book/comic line, threeA's work is as slick and stylish as you'll find from pieces that are made commercially. Over the weekend, the company held a show displaying custom figures that fans and artists have made for themselves based on threeA products. Some, you'll recognise as being based on stuff like Aliens and Hellboy. Others are based on stuff floating around the imagination of the artist. All are amazing to look at. There's a selection of shots from the show above, with the full gallery at the link below.